The great state of Illinois just got a little greater, with an end to a dizzyingly stupid law that kept bars and restaurants from serving cheaper happy hour drinks. After several long weeks of thirsty anticipation, on Wednesday afternoon Gov. Bruce Rauner signed legislation that would bring happy hour back to Illinois. 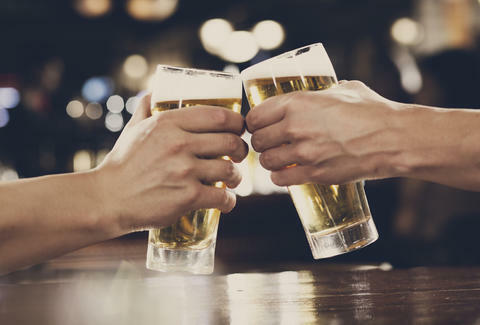 At long last, the law ends the state's ban on happy hour because -- believe it or not -- the drink specials everyone else in America enjoys have been illegal in Illinois since 1989. Now, it won't be long before you can get your mitts on some half-priced pints after work, as nature intended. Lawmakers heard our impassioned pleas to lift the ridiculous ban, and passed the bill this spring. Under the law, which goes into effect immediately, liquor-slinging establishments can offer happy hour specials for a total of 15 hours per week, but no more than four hours per day, and no later than 10pm, which are pretty reasonable restrictions considering HAPPY HOUR IS FINALLY HERE! Let's all raise a glass to the Illinois political machine for getting something right for once. Cheers! Tony Merevick is Cities News Editor at Thrillist and is super proud of his home state. Cheers, everyone! Send news tips to news@thrillist.com and follow him on Twitter @tonymerevick.